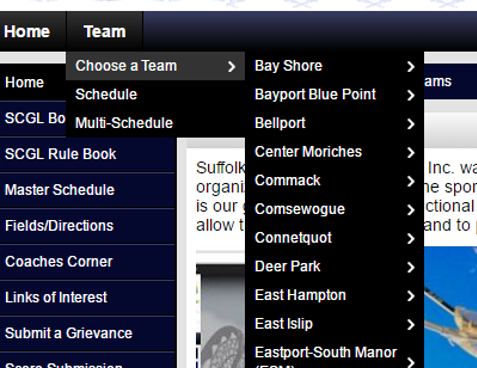 If you would like to check for a game cancellation, go to the "Team Page" for the home team. Chose the Home Team AND Grade level. It is important that you look at the grade level because cancelations may apply to certain grades only.